Welcoming era of healing, American art-rock diva descends on a playground in your vicinity to lure you away. That’s how it’s supposed to sound in “Dragons” in which the artist may warn her listener against heeding nocturnal whispers and feeding one’s fears yet she’s deploying an amazing array of vocals here, from warm croon to cold operatic display, and wrap them in, alternately, electric squeal, acoustic cocoon and electronic buzz. So while Laura has to hit the dizzying heights from time to time, she can’t help but propose, in under a three minutes, a different, folk-infused perspective in “What I See From Here” – and again, that’s how it should be on a record focused on singing rather than instrumental excellence. Although her piano and vibes are all there is in “The Old Chapel At Dusk” to create a mood of suspense, Meade’s colleagues play mostly to create colors for the songs to bathe in. A vibrant background is vital element of “Sunflowers At Chernobyl” and “Irradiation” that bookend the album in conceptual manner, whereas Laura’s many voices dissolve any epic pretense and turn it into lyrical sincerity on a magical scale, with pop sensibility filling the playful likes “Never Remember” before much more serious “Home Movies” and “Your Way” spice bliss with exquisite anxiety. Don’t expect sweet escapism from the glacial “Every Step” in this context, yet don’t embrace despair either. 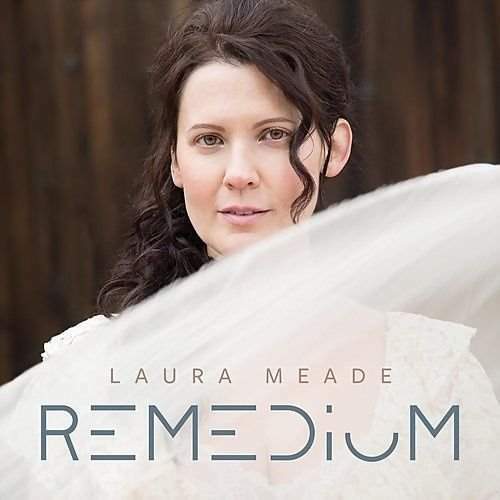 “The last laugh is mine,” states Laura, and indeed, “Remedium” – defined at the album’s end – is a tender triumph.